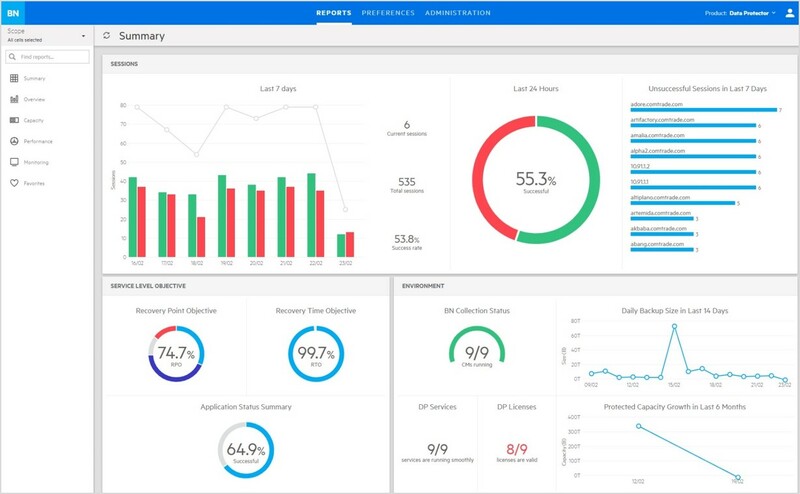 Advanced analytics and reporting for Data Protector environments. 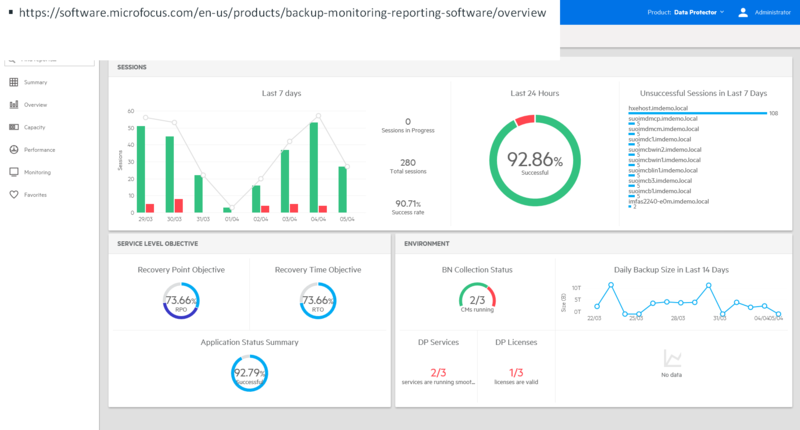 Customizable and interactive dashboard and reports provide insights into 75+ key performance indicators related to backup and recovery operations. Visual insight into the backup and recovery process based on daily use, along with trending and forecasting algorithms reveal future performance and capacity. 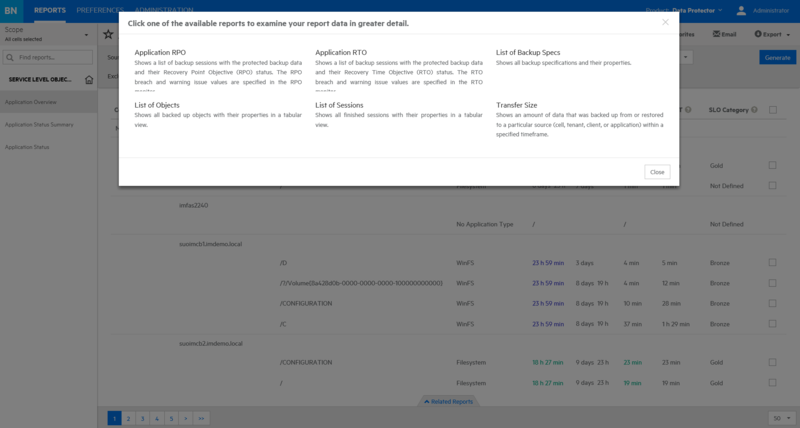 Report creation can be automated, scheduled, and shared with stakeholders within the organization, or securely isolated and made available to external customers. Potential resource conflicts and systematic or systemic issues can be proactively detected and addressed before they cascade into outages and data loss that negatively impact business operations. Intelligent insights into current backup and recovery operations before new datasets are included in the process can identify whether or not service-level agreements would remain achievable. 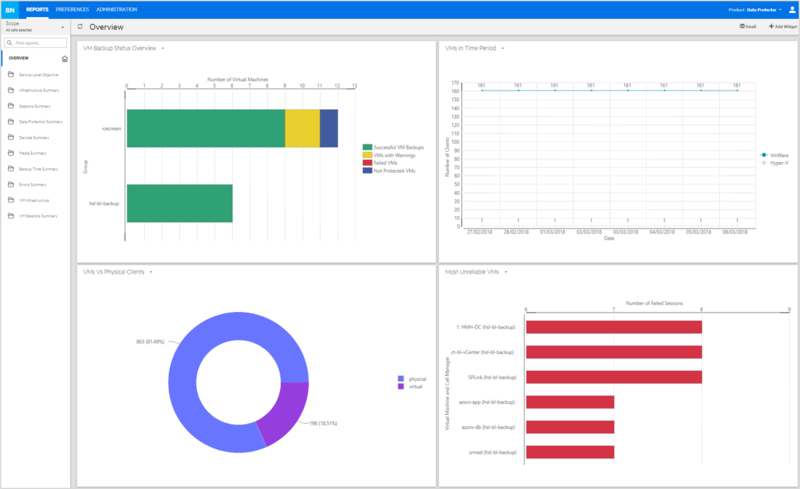 For service providers or large, geographically dispersed organizations that require multi-tenant support, Backup Navigator can generate specific reports and provide a separate auditing report that includes charge-back information. Gain insight into your virtualized environment to make sure that your VMs are protected. Check the status on the VM backup success and double click to drill down for session details. 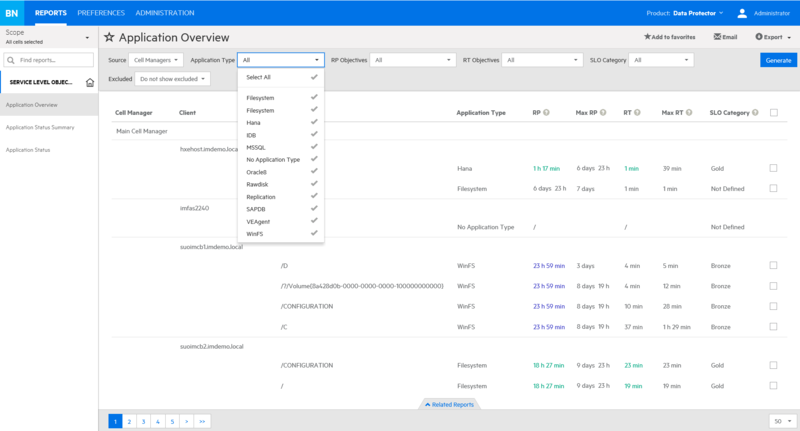 Track and manage your SLAs on this application overview dashboard which allows you to set default and worst case recovery points for clients and applications. Click on data in the dashboard to drill down for more information. Backup Navigator is a companion product in the Data Protection Suite. 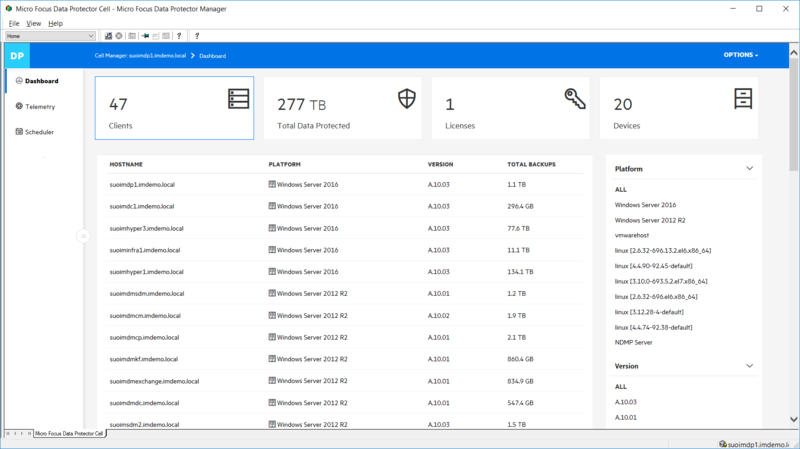 Backup Navigator is an interactive dashboard that provides backup and recovery monitoring and reporting of the Data Protector environment. This trial requires Data Protector to use and offers 60 days of functionality.